birthplace of "Gone With the Wind"
The Margaret Mitchell House has a new website and it looks great...very befitting the historical landmark that it is. I assume it's a nod to the 75th anniversary of the publication of Gone With the Wind, but regardless, I for one am impressed. 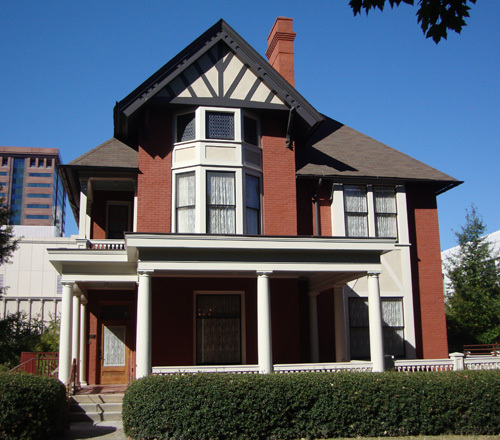 The Atlanta History Center, a short five miles north on Peachtree Street, manages the Margaret Mitchell House, but it's more than just one of the Center's historical homes. The Margaret Mitchell House is where 10 years of writing of one of the world's most popular literary works took place, where a worldwide phenomenon was created...the House "is" history! This photo shows the (original) front of the house, which faces Peachtree Street. It was years later moved back on the lot approximately 10 feet and given a Crescent Avenue address, which is now where the main entrance for visitors is located. Whether you take the tour and soak up a little writing energy or attend a lecture and book signing or participate in writing class or a join a community event...you'll be glad to get to know one of the world's most cherished literary greats!